Umbrella Inc. provides services to more than 500 seniors from 52 different countries in the Perth metropolitan area and Peel region. We recognise each client’s specific needs and acknowledge gender, age, religious, interest and cultural background. We match support staff with each client so a client can receive high-quality care from the same staff member every time. Umbrella is specifically funded to provide services to people from culturally and linguistically diverse backgrounds. 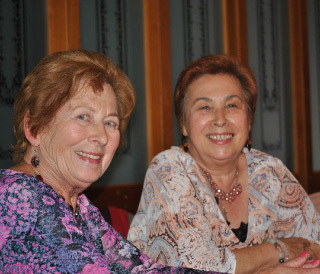 We provide culturally appropriate activities and outings where older people have the opportunity to socialise with other seniors from their cultural background and speak their first language. The key principle of Umbrella Inc. is to accommodate the culturally diverse needs of our clients and to ensure that the cultural background and language of the clients are matched with the support workers and the activities. Anyone with a valid assessment from the Regional Assessment Teams or the Aged Care Assessment Teams is eligible to use our services. There is a minimal fee that clients have to pay in addition to their government subsidy. As we believe in transparency every step of the way, all fees are fully disclosed and negotiated for all Home and Community Care & Home Care Package clients upfront. This week it is one year when I first attended Umbrella CBDC session. I was reluctant to go but my son wanted me to do it. I told him that I will just go and look. From that day I missed those sessions only twice due to my sickness and was upset with myself that I have to stay home. I love to come; I love that group, the activities, and the staff.